GrowFest! 2013 is right around the corner, and it’s a tremendous opportunity to get your seedlings, companion plants and fruit trees for your fall garden. Farmer Margie Pikarsky and her staff have been hard at work growing heirloom tomato starts and other baby plants for the event. Bee Heaven Farm will offer over 80 varieties of heirloom tomato seedlings, several varieties of eggplant, hot peppers, basil, arugula, chard, kale, Asian greens and perennial herbs like garlic chives, curryleaf, and lemongrass. Other vendors will have fruit trees, native and companion plants to promote beneficial insect habitat, and gardening supplies. SNAP/EBT dollars can be used for buying veggie seeds and seedlings. And those dollars will stretch twice as far, courtesy of Urban Oasis Project/Wholesome Wave Foundation’s double-value program, to get those gardens growing! Questions about growing? Answers here for backyard growers, urban farmers, small and big farms. The UF/Miami- Dade County Extension Office is our local source for growing information tailored to our subtropical South Florida climate. Check out their presentations and demos. There will be special emphasis on organic and environmentally friendly practices, and establishing building blocks for healthy eating. Want to learn how to prepare healthy food and kid-friendly snacks? See local chefs use fresh local ingredients to create fun and tasty dishes, school lunches, and snacks. Pick up copies of three awesome books all about local foods — Local Flavor: Recipes Raised in the Florida Redland — Field to Feast: Recipes Celebrating Florida Farmers, Chefs and Artisans — Organic Methods for Vegetable Gardening in Florida. 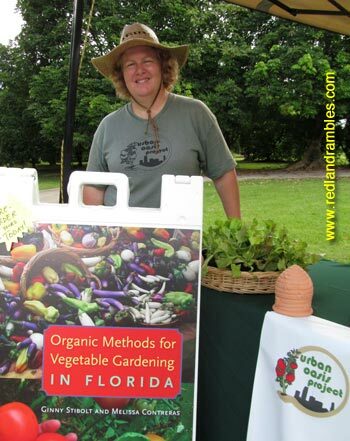 Melissa Contreras, author of Organic Methods for Vegetable Gardening. Enjoy fresh, great food! Tired of that same old fair food? 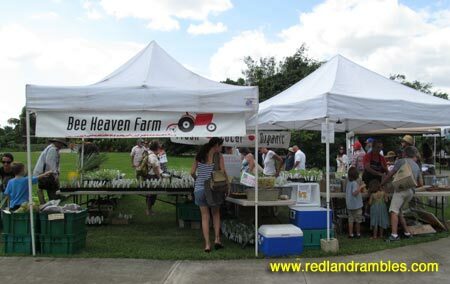 We’ll have a great selection of healthy foods showcasing locally-grown Fresh From Florida and Redland Raised ingredients. Local cottage food and artisanal producers will share their stories and sell their goods. Explore the park! The only tropical botanical garden and public park of its kind in the U.S., the Redland Fruit & Spice Park hosts over 500 varieties of tropical fruits, vegetables, spices, herbs, nuts and edible plants. 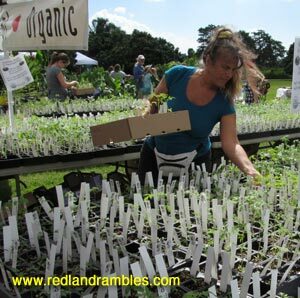 If you’ve ever been to the park, you know what a nice place it is to visit and learn about the amazing variety of edible plants you can grow in South Florida. Want to be a vendor or exhibitor? Click here for GrowFest! 2013 vendor application. Includes raffle tickets for a chance at some great door prizes!